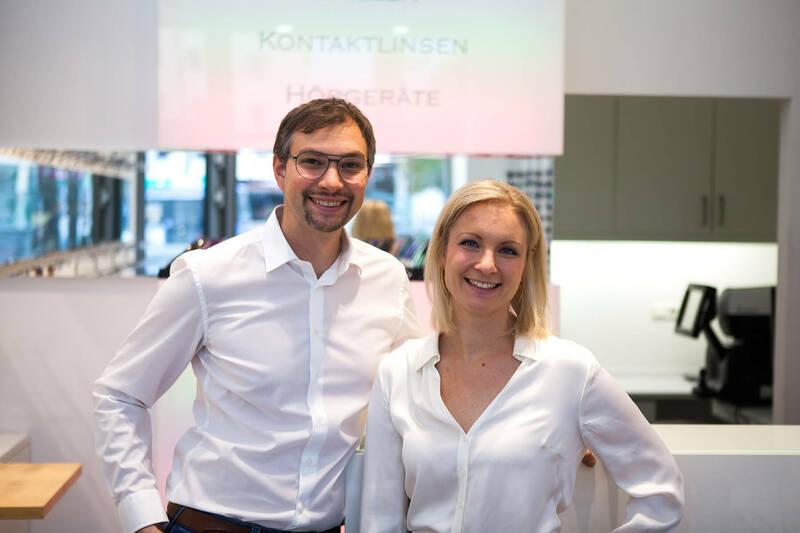 We are a modern optician and acoustician in „Sonnenstraße 4“, right in the middle of Munichs heart – Stachus. (on the side of Kaufhof). Your eyes and ears are individually measured using the latest computer technology. Completely after the motto „uncompromising quality for better vision, we did specialise ourselves in contact lens – fittings and progressive lenses. Our highly qualified City Optik team consists of experienced master opticians who have made it their business to advise you to the best of their knowledge and ability. Specialist knowledge ist the most modern technology. Your eyes are measured exactly with the latest computer technology. This combination with our long-standing experience gives you the security which you wish for your eyes. Götti, Markus T., Dilem, Silhouette, Etnia Barcelona, Maui Jim, Rodenstock, MiaMai, UVEX, Imago Ultralight, I-Spax, Charles Stone, City Optik etc. We place the highest demands on the quality of the spectacles as well as on the precision of the spectacle lenses. After a detailed determination of the eyeglass lenses, the centering data are determined with the latest computer technology. We opticians have to measure the varifocals particularly precisely. Progressive lenses require exact centering data, which we measure with the Visu-Real video centering system. 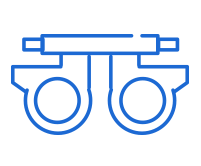 Based on our experience and expertise, we will advise you in detail about the various progressive lenses and their properties. 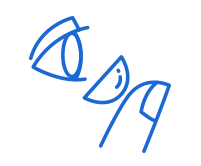 In a personal anamnesis interview, the progressive lenses are adapted to your personal needs. Only then is optimal vision with varifocals possible. City Optik gives you a compatibility guarantee. Our contact lens studio is located on the 4th floor (elevator). For more than 35 years, our specialists have been successfully fitting a wide range of contact lenses. Due to this long lasting experience we can correct your defective vision optimally with contact lenses. After a personal needs analysis and a thorough examination of your eyes, they are measured with a topographer (modern computer unit). A special photo of your corneal surface is taken, which forms the basis for the subsequent adjustment of your contact lenses. We also measure the thickness of the cornea and evaluate the tear film. Based on these measurement results, we determine the data of the contact lenses and adapt them individually to your eyes. For the sake of the health of your eyes, at City Optik you will be looked after exclusively by experienced contact lens specialists. We are looking forward to your visit in our contact lens studio. Contact lenses can be adapted on almost every eye. These small swimming plastic bowls are to be corrected ideal possibilities your defective vision. Because every eye is different every eye will measure individually. With the help of a computer Keratographen the cornea will measure. The right strength of the contact lenses, as well as the optimum seat and the material of the lenses is important. Since only long carrying free of pain of the contact lenses is possible. 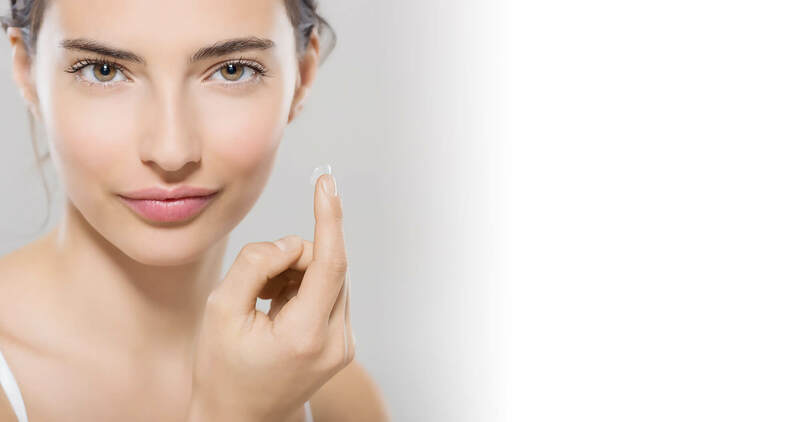 In addition you discuss our contact lens specialists with pleasure on the different possibilities and purposes in those you want to carry contact lenses maybe. Since just with sport and leisure activities an absolutely unlimited field of vision offers. Another advantage of contact lenses compared with glasses is the low injury risk, just with the skiing, squash or tennis. It announces many innovations in the area of the multifocalen contact lenses, also as a Gleitsichtlinse. With these lenses a seeing from Far to is near possible and you need no more reading glasses. We are the right contact for contact lenses in Munich. An alternative to contact lenses, just with dry eyes, offers us the Orthokeratologie – night lenses. 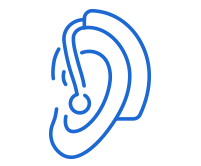 We offer you a new hearing studio on the subject of good hearing, where hearing aid acousticians will give you detailed advice and information about hearing aids, hearing systems and hearing protection. Modern hearing aids and hearing systems are as good as invisible and enable you to hear almost like before. After a needs analysis, your ears are measured with an audiometer and your hearing loss is determined. With the help of these measurement results, you will be informed about the various fitting options. We have specialized in inner ear hearing aids. These hearing aids disappear completely into the ear canal and are therefore almost invisible from the outside. Beside glasses and contact lenses we discuss you with pleasure also on hearing aids. More and more people do not know how badly you really hear. In Germany approx. 13 million people who are a hearing-injured live. New investigations show that approx. 54% of the more than 70-year-old badly hear. However, it are carried only by every fifth hard of hearing a hearing aid. There are only approx. 3 million hearing aids – bearer. Unfortunately, hearing aids still have a bad reputation. It is not accepted as a necessary aid. Indeed if the communication is limited, on the basis of bad hearing, the ageing process progresses fast. Hearing aids offer the possibility to take part again completely in the social life. Moreover, hearing aids become smaller and smaller and achievement-stronger. One sees hearing aids almost no more. In our hearing studio you have to test the possibility your hearing. We determine your hearing property and discuss you on the different possibilities of a possible care. Only overnight night lenses are carried. They sleep with these Nachttragelinsen and in this time your cornea is so deformed that you see good during the day again. Already after a night a clear improvement of the vision is guaranteed. Only cells are shifted in the epithelium layer. This process with the Ortho K contact lenses reaches for approx. 16 hours of good seeing. Just with dry eyes this kind of the correction has big advantages, because you need during the day no contact lenses or glasses and virtually do not feel at night the Orthokeratologie contact lenses. Orthokeratologie contact lenses are form-stable lenses and must be changed after one year. This procedure is completely painless. The origin state of the cornea is restored after approx. 2 weeks, while you do not carry the Ortho for K contact lenses any more. On www.dreamlens Munich you find detailed information on the subject Night lenses. Beside good seeing good hearing is also more important than many think. Hearing aids make sense. A special form of lenses are the Gleitsichtgläser. These allow a sharp seeing from Far to Near and are used with the age long sightedness. The increasing age long sightedness prevents a good seeing nearby and complicates therefore the reading. With the Gleitsichtgläsern there is a variety of different qualities and implementation of the lenses. City optics Munich has made it your job to inform you about the different kinds of the lenses and to consult. Gleitsichtbrillen must be adapted very exactly to the respective wearer of glasses to allow a very optimum seeing. Beside the optimum seat and size of the glasses the measurement of the Einschleifdaten is also very important. Also the right strength which is determined by an exactly eyeglass regulation of us. Why don’t you just sleep your ametropia off! Yes, that’s possible with our night lenses. Sounds incredible, but it’s true. Any questions ? – Contact us! We look forward to hearing from you, and are happy to help you by phone, email or in person!